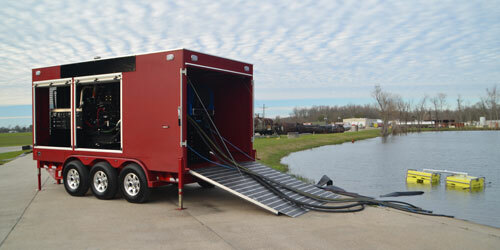 From 3,000 GPM to 20,000 GPM, this system is ideal for emergency fire water supply and dewatering from natural disasters. 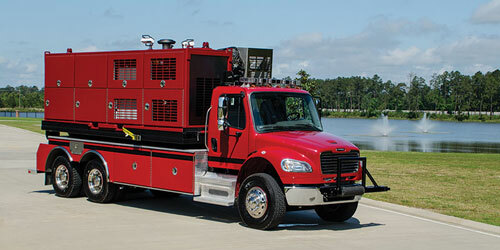 Easily delivers 3,000 GPM from any body of water and is small enough to fit in the back of any 3/4 ton pickup truck. 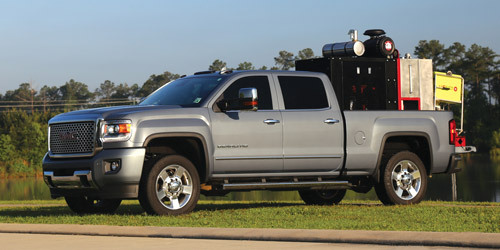 The Emergency Response Aquatic Deployment System offers mobile big water flow anywhere, any time.